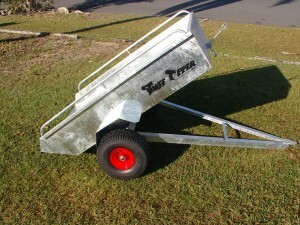 The legendary Tuff Tipper trailers have been manufactured in Australia since 1990. 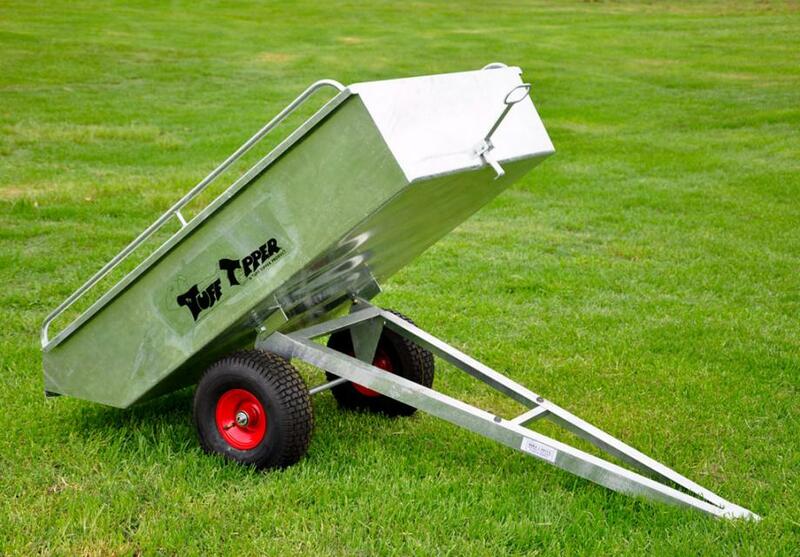 These trailers are easy to use and the ideal help-mate for the gardener, handyman, rural shires, councils, schools, lawn mowing contractors, small block farmers and bush track maintenance. 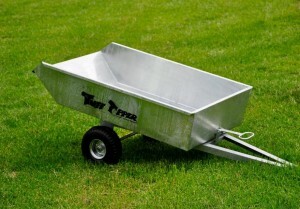 Tuff Tippers are the proven workhorse you need. Available in Small, Large and All-Terrain Vehicle (ATV) models. All trailers are made from tough, fully-welded steel construction, are fully galvanized as standard and can be powder coated in popular colours. Heavy duty tyres on steel, ball-bearing hubs are standard on all models. A robust tip action feature and sloping rear of tray, aids in the quick removal of the load. Types of Trailers. Find out more details by using the menu at left. ATV & Large models come with all new design tipper mechanism! Hot-dip galvanized finish is standard on all trailers. Optional powder coating in the colour range of the most popular ride-on lawn mowers and ATVs. Red, Orange, Green, Dark Green, Black & Yellow. Click here for the full range of powder coat colours available. 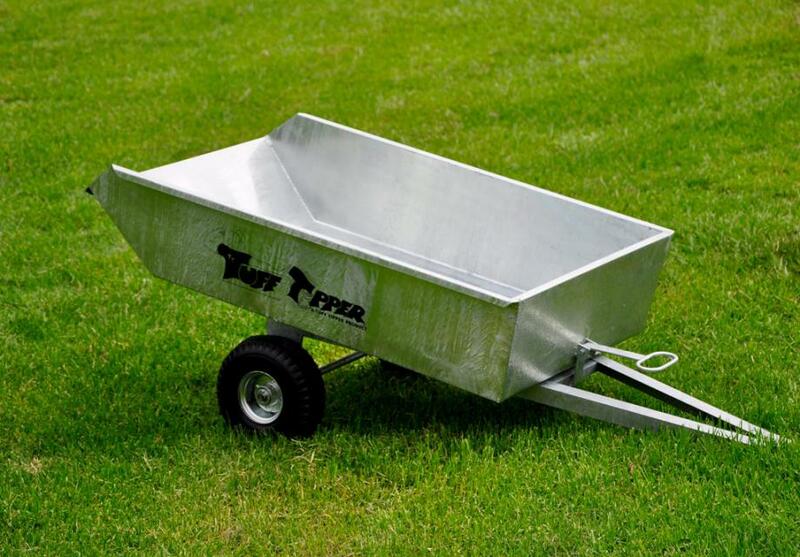 Why Choose the Legendary Tuff Tipper Lawn-care and ATV Trailers? Firstly for our trays, we use thicker sheet steel than the low-cost imported units. This ensures our trays don’t dent and buckle as easily as poor-quality imports. 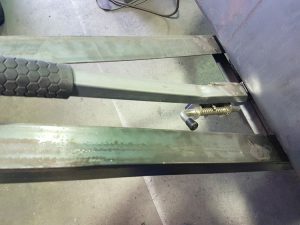 Our trays are also manufactured from a single piece of folded steel meaning higher strength, fewer welds, and fewer points for corrosion to begin. We then use the best corrosion resistant coating available by hot-dip galvanizing each and every tray. Our high-quality trays are supported by a fully-welded, solid steel chassis incorporating our proven tipping mechanism. 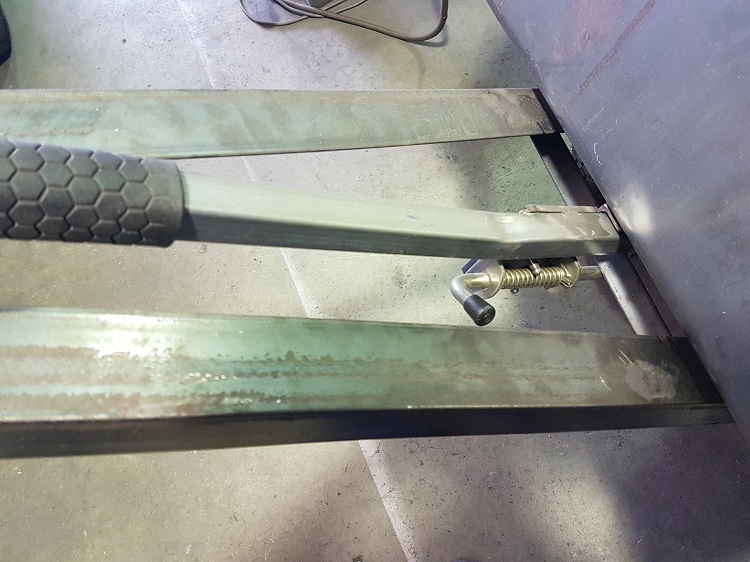 We also hot-dip galvanize our chassis to ensure all steel resists corrosion. We then fit the highest quality, steel rimmed turf wheels with bearing centres, all using quality fasteners. Imported, thin sheet metal trailers are easily damaged and the painted finish corrodes very quickly. Plastic trays scratch and gouge easily, and quickly degrade in the sunlight, becoming faded and brittle. Plastic trays readily break when carting rocks, bricks and masonry. The poor-quality wheels fitted to cheap imported trailers fail when loaded to well under the load rating. 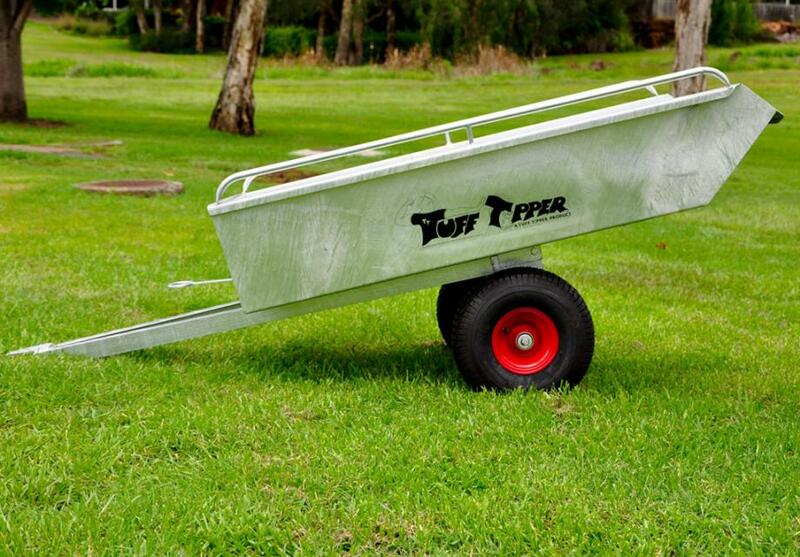 Every aspect of the design and manufacture of the Tuff Tipper trailer is done with quality and longevity in mind. A Tuff Tipper is a workhorse that will take day-in-day-out, heavy use over many, many years. When you purchase a Tuff Tipper you know you are investing in quality.